Reporter Moses Brody receives a phone-call from his ex-wife, a fellow reporter, who says he has a big story in the Antilles. When he arrives, she has been killed. 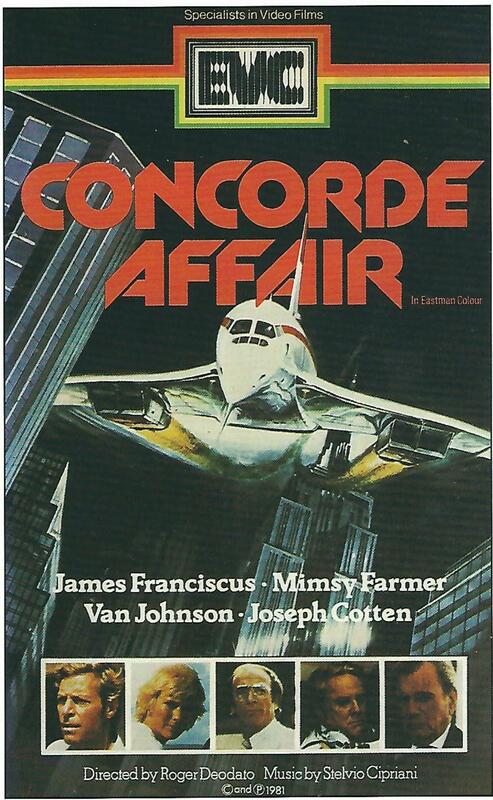 While investigating her death, he comes across the case she was working on: a crashed Concorde airliner, sabotaged by an airline company whose South American business is jeopardized by the new Concorde airplanes. He digs deeper and finds that the stewardess survived the crash into the ocean, but she is being held by criminals who are blackmailing the company responsible for the crash. The crash site is kept hidden, however, and the authorities don't believe his story without the proper evidence. 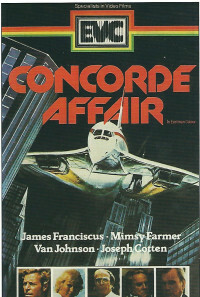 On his own, Brody attempts to rescue the stewardess from her captors, and while doing so, he discovers that another Concorde flight out of London has been sabotaged to crash in the same way. The two race against the clock to get the information to London and prevent the crash. Regions are unavailable for this movie. Click the "Watch on Netflix" button to find out if Concorde Affaire '79 is playing in your country.